Male mealybugs resemble tiny flies. Females are wingless and covered with a powdery wax. When masses of them feed on stems, leaves and fruits, they resemble gobs of moldy cotton. They are related to aphids, psyllids and phylloxera, and cause similar problems: they damage plants by sucking their juices and spreading diseases, and the honeydew they secrete invites sooty fungus, thereby hampering photosynthesis. Ants spread mealybugs from plant to plant, and furthermore protect them from many natural enemies. 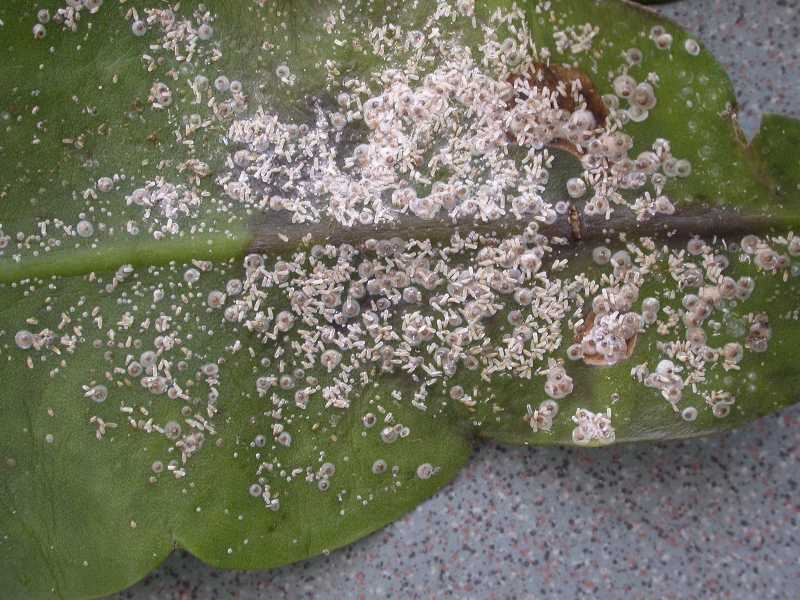 Out-of-doors, mealybugs constitute a greater problem in the South, since most species are tropical or greenhouse insects. They primarily affect fruit trees. 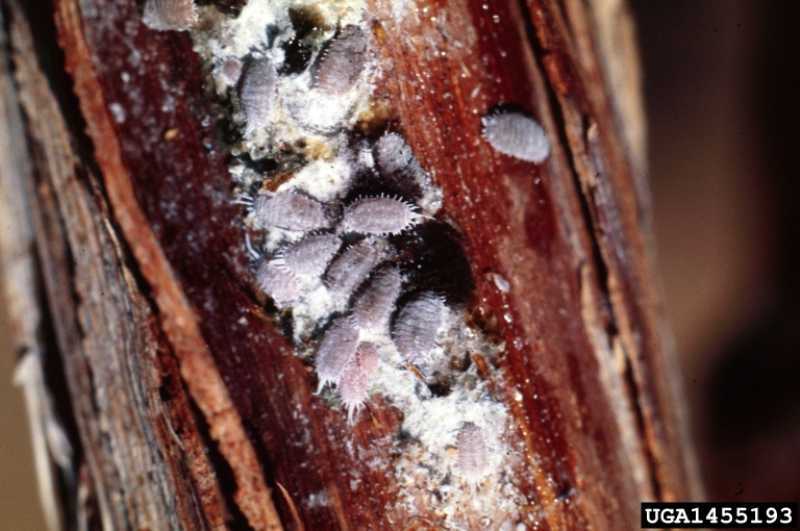 Favored hosts of the citrus mealybug include avocado, citrus, and potato; the comstock mealybug can infest apple, grape, peach, and pear crops; and avocado, citrus banana, and plum are vulnerable to the longtailed mealybug. 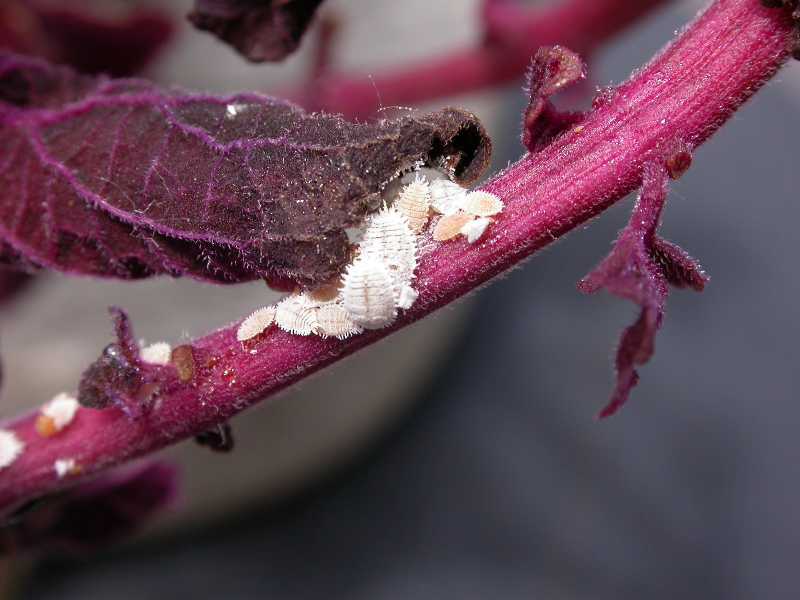 Commercially available beneficial insects are the best control for mealybugs. A certain type of lady beetle known as "mealybug destroyer" lives up to its name by controlling citrus mealybugs; chalcid wasps are effective on infested grape vines and those trees damaged by longtailed mealybugs. Alternately, control mealybugs mechanically by knocking mealybugs off of trees with a good, strong spray of water or soapy water; citrus mealybugs can also be controlled with a spray of kerosene emulsion. Controlling mealybugs on house plants can be challenging. They can be hand picked or removed with a cotton swab and rubbing alcohol but several treatments may be necessary to effect control. Horticultural oils and insecticidal soaps can also be used.